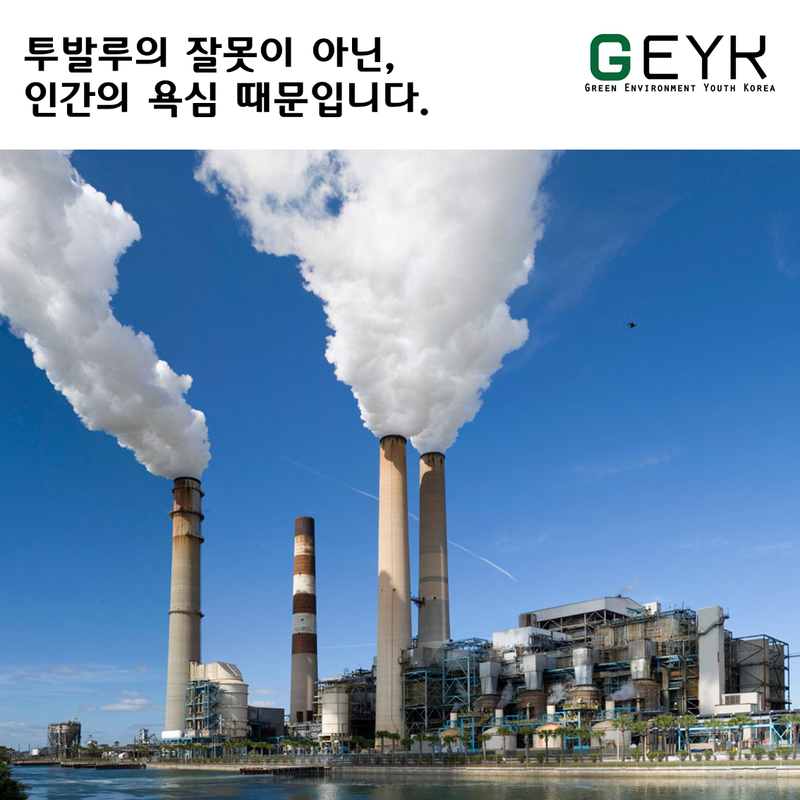 2015년의 GEYK 활동을 담은 보고서가 발간되었습니다. 아래 링크로 가시면 받아보실 수 있습니다. 정부는 온실가스 감축목표를 완화하기로 하였습니다. 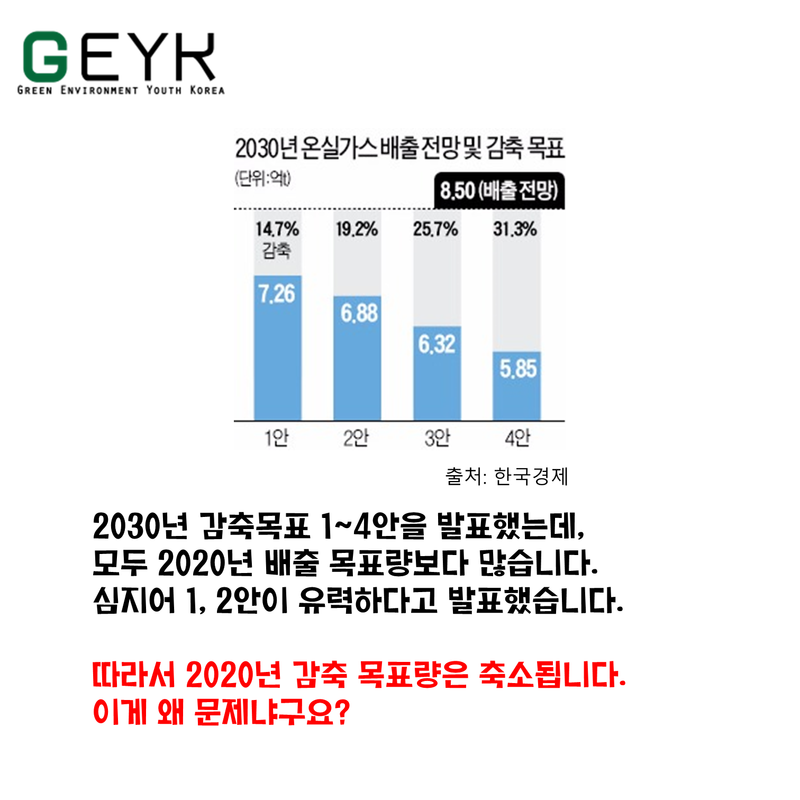 국제사회에 자발적으로 2020년까지 BAU 대비 온실가스 30%를 줄이겠다고 약속하였기 때문에, 청년들은 기대한만큼 실망도 컸답니다. 온실가스 감축목표가 하향 설정되면 어떤 것이 문제일까요? 청년들이 그에 대한 의견을 이야기합니다! 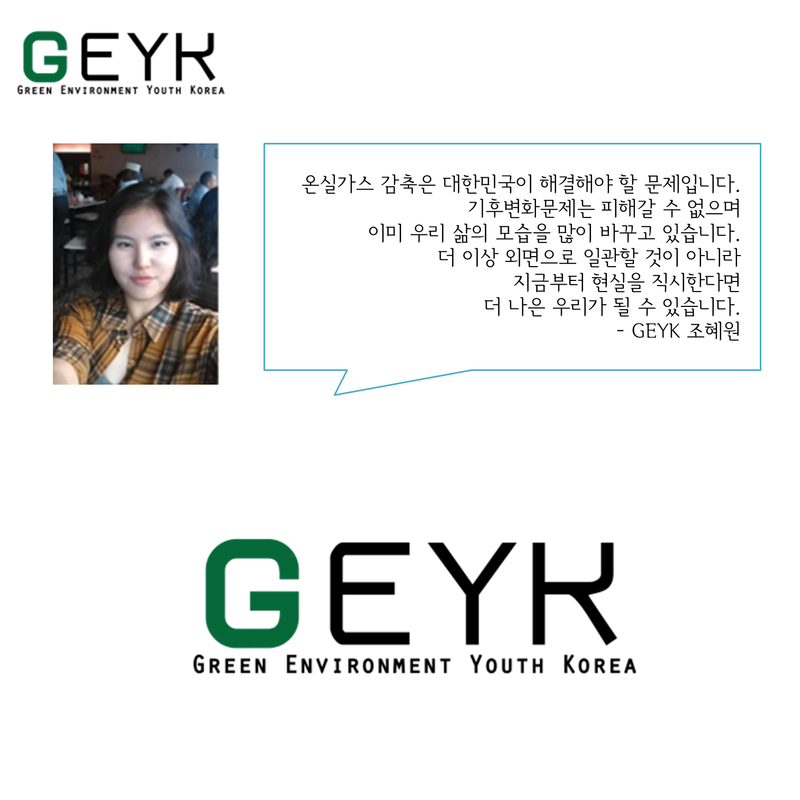 My name is Choony Kim, I represent the Korean Civil Society Network on the CBD, and am a board member of the CBD Alliance, which is the formal network of civil society organisations engaged in the discussions on the CBD and biodiversity related issues. Thank you for giving me the opportunity to share some of the concerns and recommendations of civil society at this occassion. 제 이름은 김춘이입니다. 저는 ‘CBD한국시민사회네트워크’를 대표하며, CBD및 생물다양성 관련 이슈의 논의에 연관된 시민사회단체의 공식 네트워크인CBD Alliance의 이사입니다. 이 총회에서 시민사회의 우려와 권고를 공유할 수 있는 기회를 주셔서 감사합니다. 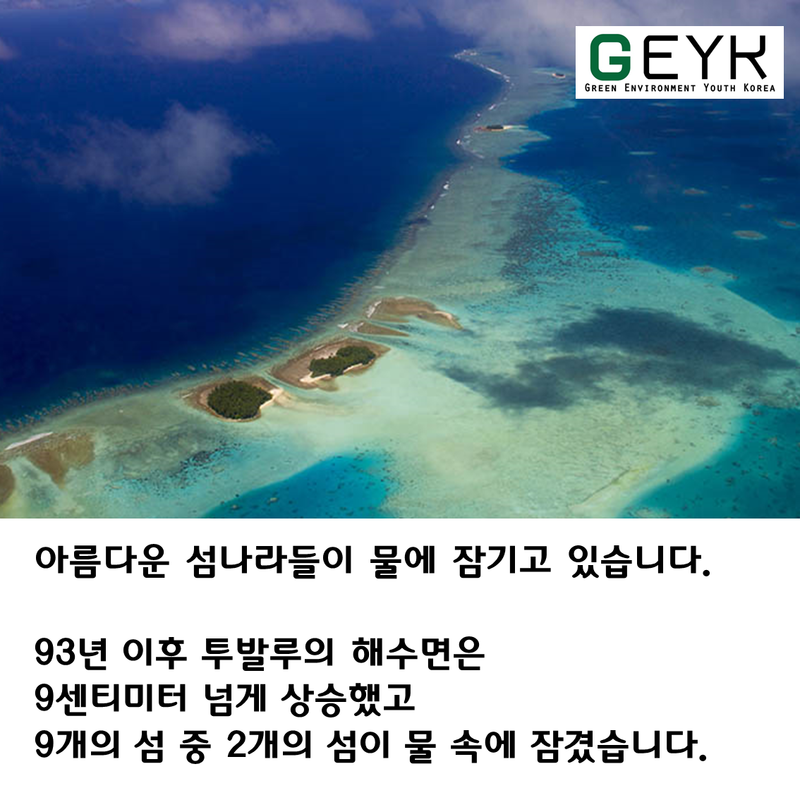 The CBD need to pay more attention to areas that are not protected areas but transboundary areas with rich biodiversity, such as the Demilitarized Zone on the Korean Peninsular. The DMZ has had a unique ecosystem and is a temperate forest without human intervention for more than 60 years. 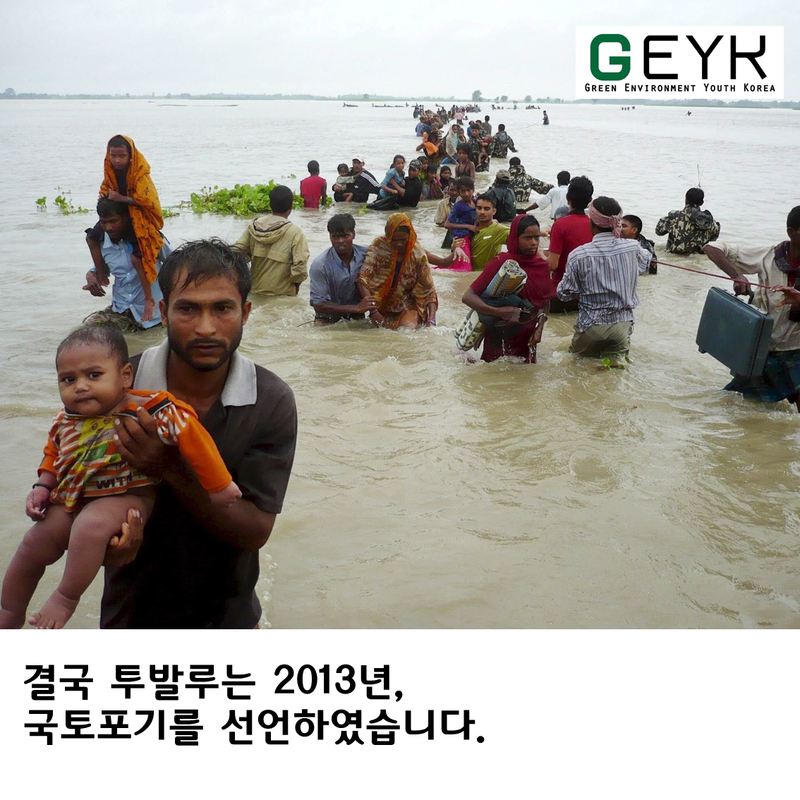 Setting a conservation strategy for the DMZ will contribute to achieve the Aichi target 11. Further Chung Hong-won, the Korean Prime Minister mentioned in his opening statement, it would play a very positive role in easing tension and regaining mutual trust between the two Koreas. CBD는 한반도의 DMZ와 같이 보호지역은 아니지만 생물다양성이 풍부한 접경지역에 더 많은 관심을 기울여야 합니다. DMZ는 독특한 생태계를 보유하고 있으며, 60년 이상 인간의 간섭 없이 보존된 온대림입니다. DMZ를 위한 보전 전략을 수립하는 것은 아이치 목표 11번 달성에 기여할 것입니다. 정홍원 국무총리께서 개회사에서 말씀하셨듯이, 이는 한국과 북한 사이의 긴장을 완화시키고 상호 신뢰를 회복하는데 매우 긍정적인 역할을 할 것입니다. There are several examples of successful mainstreaming at the national level. 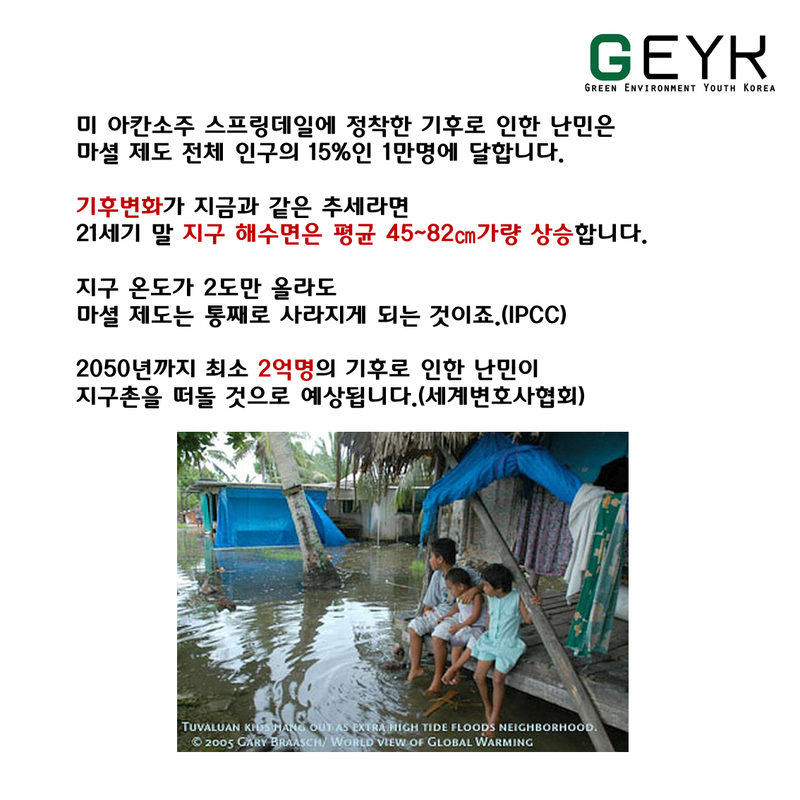 They are the presidential priority on peatland conservation in Belarus, adoption and implementation on guidelines for mining and biodiversity by the mining ministry of South Africa, and a presidential priority in Belarus and having the mining ministry adopt and implement guidelines for mining and biodiversity in South Africa, decision to save Garorim Bay taken by the Korean Ministry of Environment. Biodiversity and genetic resources are critically important, yet we continue to destroy it everywhere around the world. For example, Mt. 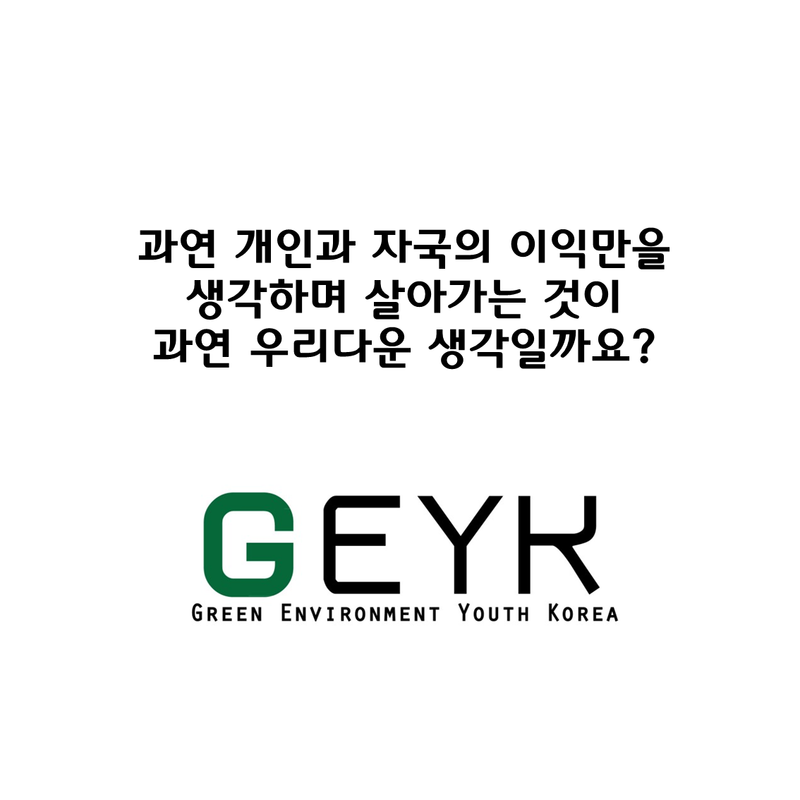 Gariwang in Gangwon Province, ‘a protected area for forest genetic resources’, 50km away from the Alpensia, is being devastated for only three days downhill ski in line with the so called “environmentally sustainable Winter Olympic games” initiated by International Olympic Committee (IOC) and International Ski Federation (FIS). We cannot continue to sacrifice biodiversity to big projects. Instead of cutting down 500 old years native forest trees, our actions to save the forest should be taken by international community. It greatly contributes to mainstreaming biodiversity not only domestically but also internationally. 국가 차원에서 성공적인 주류화의 사례가 몇 가지 있습니다. 벨라루스에서는 이탄지역 보전을 대통령이 최우선과제으로 삼았고, 남아프리카의 광업부는 채굴과 생물다양성에 대한 가이드라인을 채택하고 실행했으며, 한국 환경부는 가로림만 조력발전사업 환경영향평가서를 반려하기로 결정했습니다. 생물다양성과 유전자원은 매우 중요하지만 우리는 전세계에서 그것을 계속 파괴하고 있습니다. 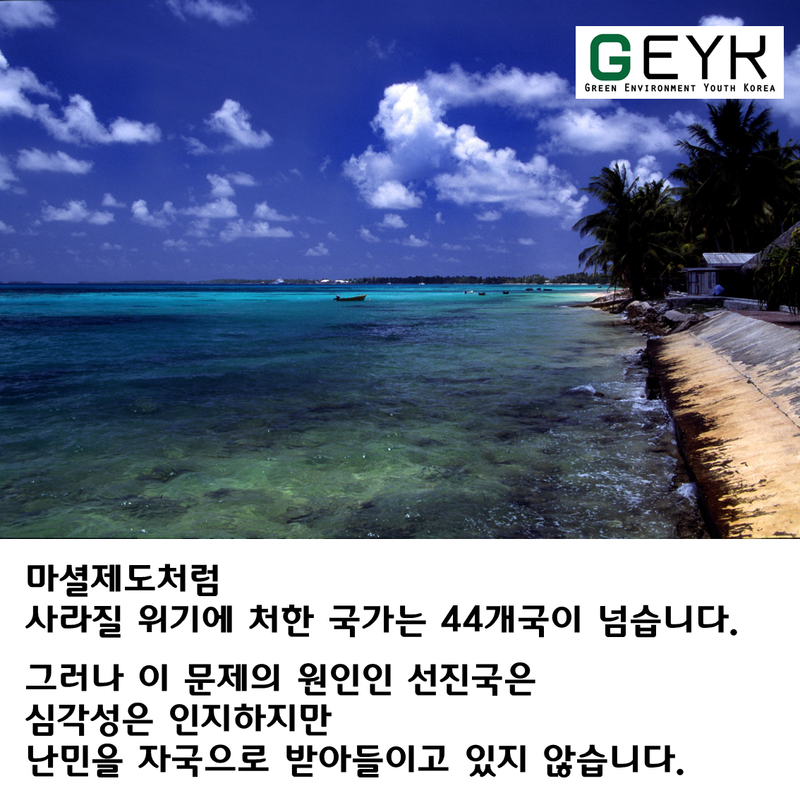 예를 들어, 강원도의 가리왕산은 알펜시아로부터 50km 떨어진 산림유전자원 보호구역이지만, 국제올림픽위원회와 국제스키연맹이 주창하는 소위 ‘환경적으로 지속가능한 동계 올림픽’이라는 단 3일간의 스키 활강 경기를 위하여 파괴되고 있습니다. 우리는 대규모 건설사업를 위하여 생물다양성을 계속 희생할 수 없습니다. 500년 된 원시림을 벌채하는 대신, 우리의 숲을 살리기 위한 행동이 국제사회에 의해 받아들여져야 합니다. 이는 국내뿐 아니라 국제적으로 생물다양성을 주류화하는데 크게 기여할 것입니다. Civil society from around the world is deeply concerned to note the deplorable state of biodiversity conservation. This was dramaticly shown by the recent publication of the Living Planet Report,which showed us that we are not on track to implement most of the Aichi targets. 전세계로부터 온 시민사회는 생물다양성 보존의 개탄할만한 상황에 대해서 심각하게 우려합니다. 이는 우리 아이치목표 대부분을 달성하지 못하고 있음을 보여준 최근 출간된 ‘리빙 플래닛 보고서’에서 잘 나타납니다. Biodiversity and genetic resources are critically important to the survival of humanity, yet we continue to destroy it all around the world with projects to expand big infrastructure like large dams, roads, mining, and large-scale monocultures for bioenergy and feedstock production. Policies to protect biodiversity are bound to fail if consumption and production patterns, and economic models, are not changed. These megaprojects are based upon the needs created by unsustainable consumption patterns that are often associated with increasingly unhealthy lifestyles and diets. We have to ensure transformative change in the system itself. 생물다양성과 유전자원은 인류 생존에 결정적으로 중요하지만, 우리는 전세계에서 대규모 댐, 도로, 채굴, 바이오 에너지 및 원료유 생산을 위한 대규모 단일경작과 같은 거대 인프라를 확장하기 위한 프로젝트로 생물다양성과 유전자원을 계속 파괴하고 있습니다. 생물다양성을 지키기 위한 정책은 소비와 생산 양식, 경제 모델이 바뀌지 않으면 실패할 수밖에 없습니다. 이러한 초대형 프로젝트는 점점 더 늘어나는 건강하지 않은 생활방식 및 식생활과 연결된 지속가능하지 않은 소비양식이 만들어낸 필요를 바탕으로 하고 있습니다. 우리는 유한한 지구에서 무한의 성장 정책을 계속할 수 없음을 깨달아야 합니다. As is well-known, one of the main causes of biodiversity loss is the ever advancing fronteers of agro-industry, through the promotion of large-scale monocultures and intensive livestock. These use agrochemicals that kill polinators and birds, while eliminating agricultural biodiversity and contaminating natural varieties with genetically modified ones. Agriculture needs to be a standing item on the agenda of the COP, also to generate effective support to the real food producers of this world; women, small-scale farmers, pastoralists, fisherfolk and indigenous peoples, who also play a central role in plant and animal genetic resources conservation. 잘 알려진 것처럼, 생물다양성 상실의 주요 원인 중 하나는 인간을 위한 건강한 식량보다는 대규모 단일경작을 통하여 바이오 에너지와 가축사육을 위한 사료를 더욱 많이 생산하며 영역을 넓혀가는 애그로 비지니스입니다. 이러한 것들은 식물의 수분 매개체와 새를 죽이는 한편, 농업에서의 생물다양성을 몰아내고, 유전자조작생물로 자연적 다양성을 오염시킵니다. 농업은 총회에서 우선 순위의 의제가 되어야 하고, 이 세상의 진정한 식량 생산자이며, 동식물 유전 자원 보전에서 중심 역할을 하는 여성, 소규모 농가, 소규모 축산업자, 어부 및 토착민에 대한 효과적인 지원책을 마련할 필요가 있습니다. Instead of supporting corporate-driven and risky technologies, we should act to prevent damage to biodiversity wherever we can. That is precisely why the Precautionary Principle is at the heart of this Convention. However, some parties are unwilling to take it seriously. 기업이 주도하는 안정성이 보장되지 않은 기술 대신에, 우리는 우리가 할 수 있는 어디에서든 피해를 예방하기 위하여 행동해야 합니다. 그것이 이 협약의 핵심에 사전예방의 원칙이 있는 바로 그 이유입니다. 그러나 일부 당사국들은 이를 심각하게 받아들이려고 하지 않습니다. Specifically, a precautionary approach should be applied to synthetic biology, which will have grave impacts on biodiversity and traditional livelihoods in many developing countries. It is already expanding globally, without any global or national public oversight or regulation, without capacity to perform adequate risk assessments, without consultation or information to affected peoples and countries. The establishment of an international framework for the regulation of synthetic biology should be approved at this COP. 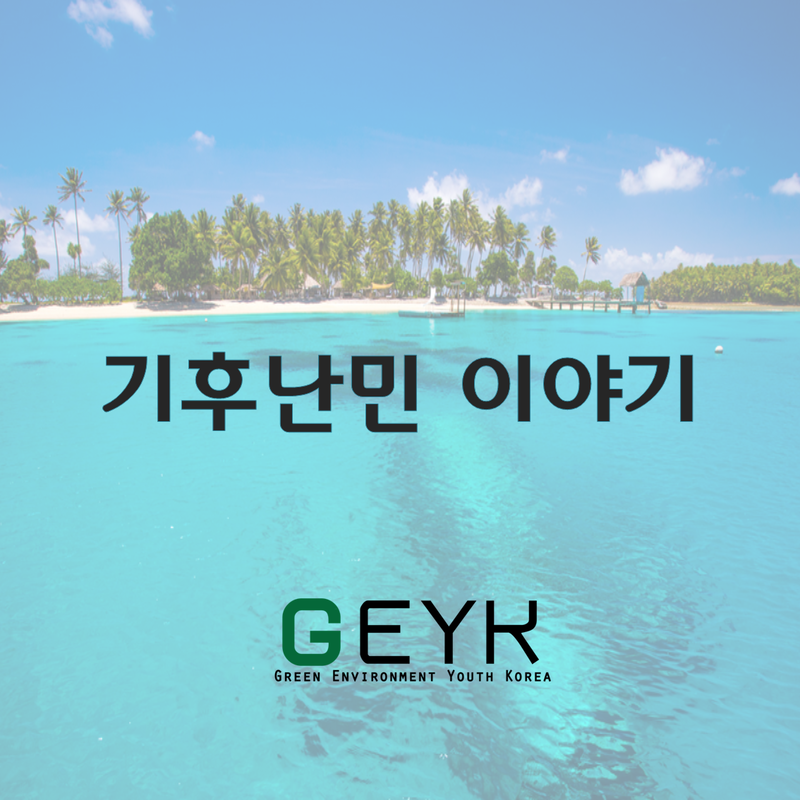 구체적으로, 사전예방적 접근법은 합성생물학에 적용되어야 하는데, 그것은 많은 개도국의 생물다양성과 전통적인 생활에 중대한 영향을 미칠 것입니다. 그것은 전세계적 혹은 국내적 공공 감독 또는 규제도, 적절한 위험평가를 수행할 역량도, 영향을 받는 사람들과 나라들과의 협의 또는 정보도 없이, 이미 전세계적으로 확산되고 있습니다. 합성생물학의 규제를 위한 국제적 체제의 설립은 이번 총회에서 승인되어야 합니다. Other dangerous technologies like genetically engineered trees will inevitably and irreversibly lead to GE trees invading and contaminating native ecosystems. The CBD COP-9 decision calling for application of the Precautionary Approach regarding transgenic trees must be applied. For civil society, the push for GE trees is unacceptable, for example, in Brazil. 유전적으로 조작된 나무와 같은 다른 위험한 기술들은 토착 생태계를 필연적으로 그리고 되돌릴 수 없이 침범하고 오염시킬 것입니다. 이식유전자 나무에 관한 사전예방적 접근법의 적용을 요청하는 생물다양성협약 제9차 총회의 결정이 반드시 적용되어야 합니다. 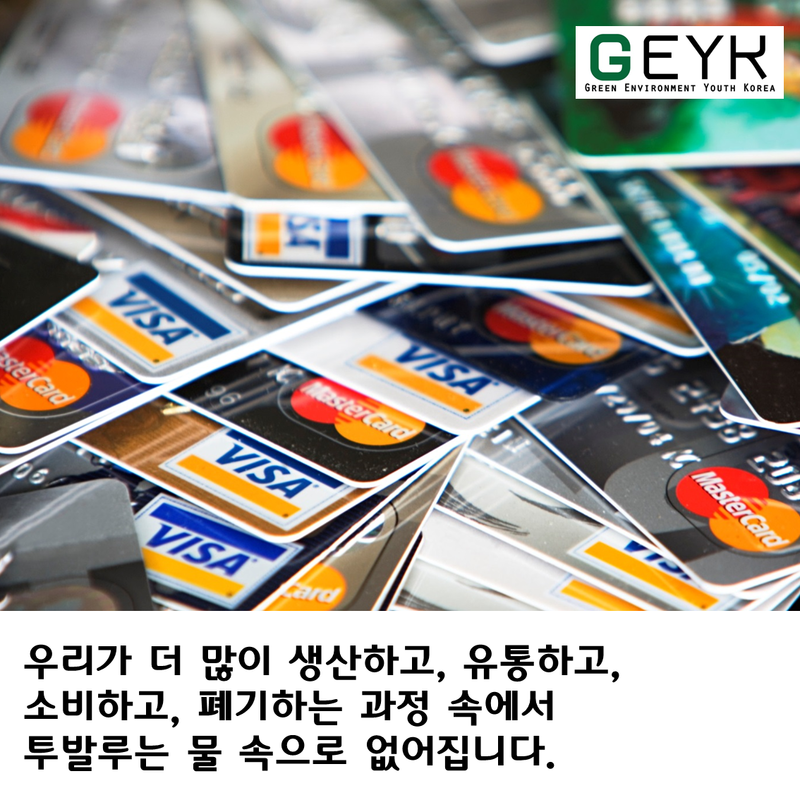 시민사회로서는, 예를 들어 브라질에서 유전적으로 조작된 나무를 계속 추진하는 것을 받아들일 수 없습니다. The CBD is a binding treaty but there is a big gap in compliance with the legally binding commitments of the Convention, and its Strategic Plan. Even key institutions of the Convention itself sometimes fail to implement existing decisions. Worse still, issues seem to disappear from national and international agendas. Such is the case for agriculture, forests, and biofuels. These work programs and decisions should be standing items on the agenda of CBD COPs. What we need is implementation. 생물다양성협약은 구속력 있는 협약이지만 법적 구속력있는 협약의 의무와 그것의 전략 계획을 일치시키는 것에는 큰 간극이 있습니다. 심지어 협약 자체의 주요 핵심 기구들조차도 때론 기존 결정들을 이행하지 못합니다. 더욱 심한 것은 이슈들이 국내 및 국제 의제들로부터 사라진 것처럼 보인다는 것입니다. 농업, 산림 그리고 바이오 연료에 관한 사례들이 그러합니다. 이러한 작업 프로그램과 결정은 생물다양성협약 당사국총회의 의제에서 상시 안건이어야 합니다. 우리가 필요한 것은 이행입니다. National Biodiversity Strategies and Action Plans (NBSAPs) are the principal instrument to implement decisions taken at the COP at national level. History has learned that only those NBSAPs that had a real process of broad rightsholder and stakeholder involvement were successful in the implementation. It is therefore of utter importance that when developing NBSAPs, parties dialogue with all rightsholders and stakeholders, and mainstream biodiversity concerns in all the sectors of the country. 국가생물다양성전략 및 행동계획(NBSAPs)은 당사국총회의 결정을 이행하는 주요한 도구입니다. 역사는 폭넓은 권리관계자와 이해관계자가 참여하는 진정한 과정이 있는 그러한 국가생물다양성전략 및 행동계획만이 이행에 있어서 성공적이었음을 배웠습니다. 따라서, 국가생물다양성전략 및 행동계획을 수립할 때 당사국이 모든 권리관계자 및 이해관계자와 대화하고 국가의 모든 영역의 생물다양성 관심사를 주류화하는 것이 전적으로 중요합니다. 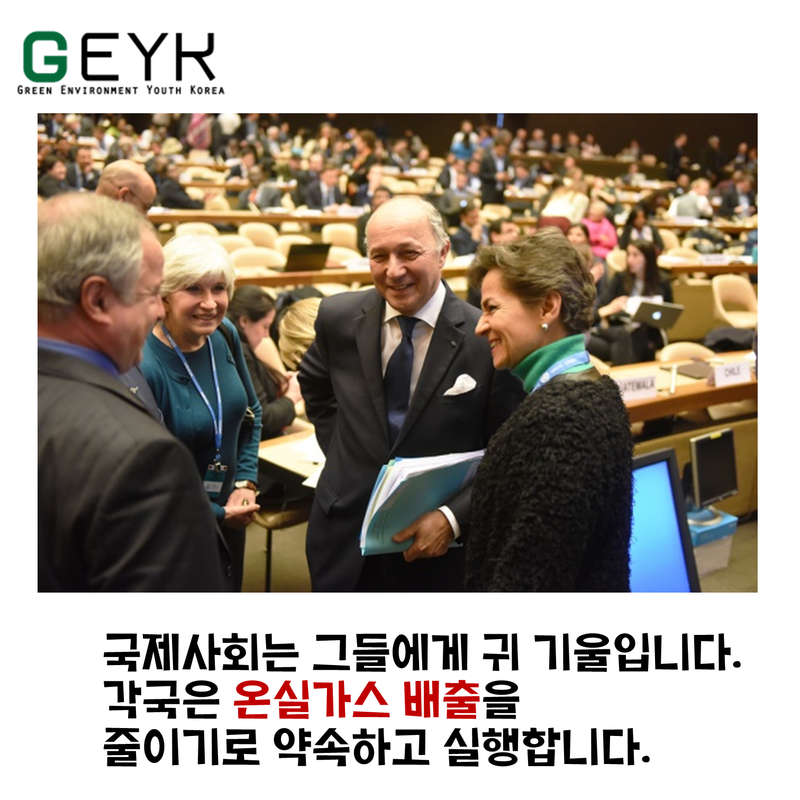 The decisions that will be taken here at COP12 should not only have a central place in the Pyeongchang Roadmap, but also in the Gangwon Declaration, as this is essential for the integration of biodiversity into sustainable development and the enhancement of the implementation of the Strategic Plan. 여기 제12차 당사국총회에 만들어질 결정들은 평창 로드맵 뿐만 아니라 강원 선언문에서 중심 자리를 차지해야 합니다. 이것이 생물다양성을 지속가능한 발전으로 통합하고 전략계획 이행을 강화하는 데 필수적이기 때문입니다. Financial resources are key for implementation and economic incentives should be realigned in line with Aichi target 3. However, discussions here at Pyongchang on resource mobilization have been stranded. Major differences on issues have still not even been discussed. 재원은 이행을 위한 핵심이고, 경제적 인센티브는 아이치 목표 3과 일치하여 재조정되어야 합니다. 하지만 여기 평창에서 이루어진 자원 동원에 관한 논의는 발이 묶였습니다. 이슈에 관한 주요 의견차이는 아직 논의조차 되지 않았습니다. Most Northern countries are walking away from their legal CBD commitments to provide funding, as established in Article 20 of the Convention. They are now shifting the burden to the South and its peoples in the name of domestic resources mobilization. Parties must reiterate their commitments from Hyderabad, and show progress on the agreed doubling of international financial flows to developing countries by 2015. 대부분의 북부(선진, Northern) 국가들은 협약의 20조에서 규정한 재정 제공의 의무를 피하고 있습니다. 그들은 지금 그 부담을 국내 자원 동원이라는 이름으로 남부(개발도상, Southern)국가와 그 국민들에게 전가하고 있습니다. 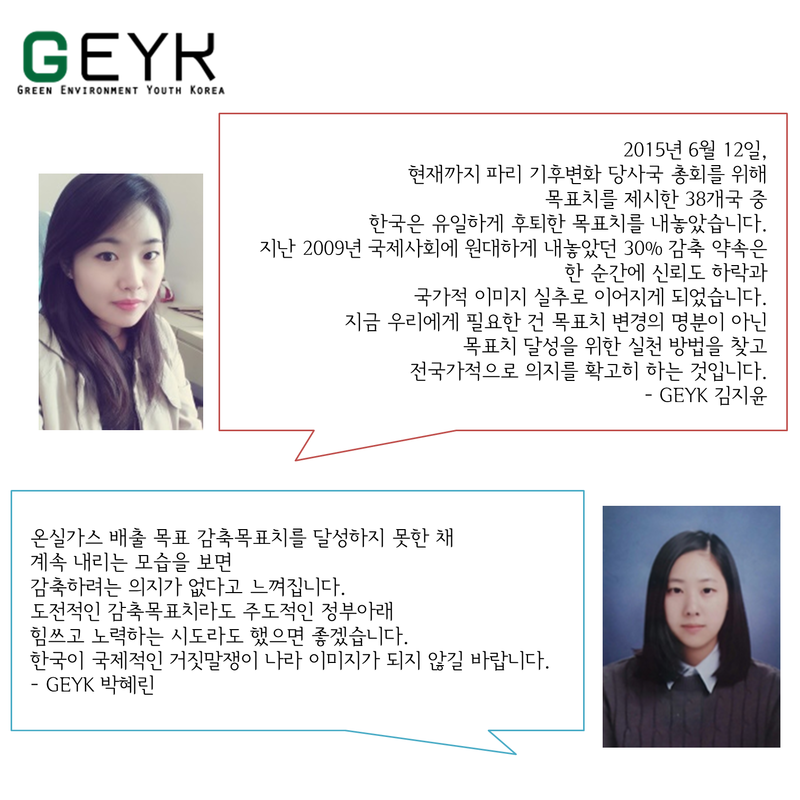 당사국들은 하이데라바드에서의 의무를 복창하고, 2015년까지 개도국으로의 국제 재정 유입을 배가하겠다고 동의한 바를 진전시켜야 합니다. We question the intent to raise funds through innovative financial mechanisms – promoting market and private sector interests, which will lead to the financialisation and commodification of nature. We cannot put a price on nature. 우리는 자연의 금융화와 상품화로 이어질 혁신적인 재정 메커니즘을 통한 기금 마련하려는 의도에 의문을 제기합니다. 이는 시장과 사적영역 이익을 조장하고, 자연의 금융화와 상품화로 이어질 것입니다. 우리는 자연에 가격을 매길 수 없습니다. Biodiversity offsetting is a controversial proposal, which has inherent dangers such as promoting destruction without the guarantee that lasting solutions will provide a real compensation. Extinction is forever. The precautionary approach must be applied. We also warn against the undermining of rights of Indigenous Peoples, local communities and women through this kind of policy. 생물다양성의 상쇄는 논란이 많은 제안인데, 이는 영구적인 해결책이 진정한 보상을 제공할 것이라는 보증 없이 파괴를 촉진하는 것과 같은 본질적인 위험을 내포합니다. 한 번 멸종된 것은 되살릴 수 없습니다. 사전예방적 접근법이 반드시 적용되어야 합니다. 우리는 또한 이러한 종류의 정책을 통하여 토착민과 지역사회 그리고 여성의 권리를 잠식하는 것에 대해 경고합니다. 협약 내에서 이해관계의 충돌이 증가하고 있습니다. 민간 기금이 공공기금을 대체하고 있으며, 그것과 함께 민간이익이 들어옵니다. 우리는 생물다양성협약 사무국과 당사국들이 생물다양성과 관련된 정책 절차에 대한 자금조달과 투입과 관련된 모든 정보를 완전히 밝히기를 촉구합니다. 부당한 인센티브는 반드시 바로잡아야 합니다. During the last few days, the attention of delegates was drawn to the issue of the impact of radioactive radiation on biodiversity. We would recommend the CBD to make an official study of the impacts of nuclear radiation on biodiversity, and then take the necessary steps according to the outcome of such a study. 지난 며칠 동안 생물다양성에 대한 방사선의 영향 문제는 대표단의 관심을 끌었습니다. 우리는 생물다양성협약이 생물다양성에 대한 방사능의 영향에 관하여 공식적으로 연구하고, 그러한 연구 결과에 따라 필요한 조치를 취할 것을 권고합니다. “Indigenous Peoples and Local Communities” are paramount to the implementation of the Convention. In line with international human rights agreements, the terminology ‘indigenous peoples’ as well as their Free Prior and Informed Consent should be adhered to. “토착민과 지역공동체”는 협약 이행에 있어서 무엇보다 중요합니다. 국제인권협약에 따라, 토착민의 자유로운 사전통보승인뿐 아니라 ‘원주민’이라는 용어도 고수되어야 합니다. Indigenous and community actions have since millennia played a fundamental role in biodiversity conservation. Indigenous Peoples’ and Community Conserved Territories and Areas (ICCAs), can significantly contribute to the implementation of the Pyeongchang Roadmap, the Aichi targets and the Strategic Plan, provided they are recognized in an appropriate and effective manner. Also, women’s rights, roles, needs and aspirations should be mainstreamed in all biodiversity-related decision making, as indicated by the decision adopted here at this COP. 토착민과 공동체의 행위는 생물다양성에 보전에 근본적인 역할을 오랫동안 해왔습니다. ‘토착민과 공동체 보전 영토와 지역(ICCAs)’은 적절하고 효과적인 방식으로 인정된다면, 평창 로드맵과 아이치 목표 그리고 전략계획 이행에 중대한 공헌을 할 수 있습니다. 또한 여기 이번 당사국총회에서 채택된 결정에 나타나듯이 모든 생물다양성과 관련된 의사결정에서 여성의 권리, 역할, 필요와 염원이 주류화되어야 합니다. Forest ecosystems are estimated to represent up to 80 to 90% of terrestrial biodiversity, yet forest policies seems to have shifted away from the CBD to other fora. The implementation of the CBD´s Expanded Programme of Work on Forest Biological Diversity has lost momentum. There is more to forests than REDD+ and capturing carbon. We need to conserve forest ecosystems in a holistic, integrated, non-market-based, manner. 산림 생태계는 육지 생물다양성의 80~90%까지 차지하는 것으로 추정되지만, 산림 정책들이 생물다양성협약에서 다른 포럼들로 이동하는 것처럼 보입니다. 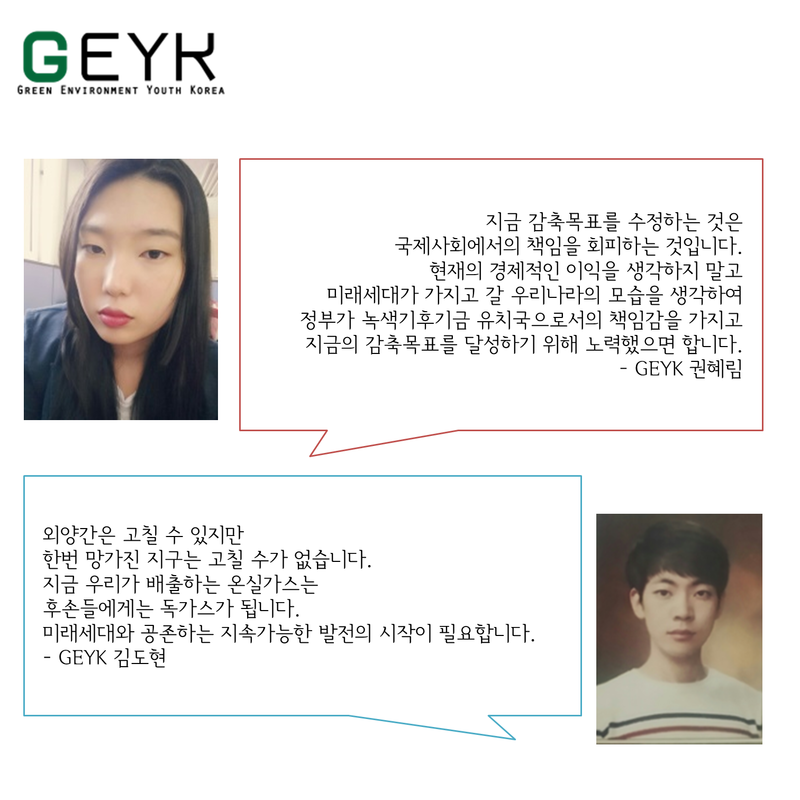 산림 생물다양성에 관한 생물다양성협약의 확대 프로그램 이행은은 추진력을 상실했습니다. 산림 문제에 대해서는 REDD+와 탄소포집 말고도 더 많은 것들이 있습니다. 우리는 전체적, 통합적, 비시장기반 방식으로 산림 생태계를 보전할 필요가 있습니다. This convention needs to address the drivers of forest loss and determine policies to enhance the enforcement of forest and human rights laws and agreements. Parties need to build on the many positive policy recommendations that already exist and implement them on the ground. 본 협약은 산림손실의 원인에 대응하고 숲과 인권에 대한 법과 협약의 집행을 강화하는 정책을 결정할 필요가 있습니다. 당사국들은 기존의 많은 적극적인 정책 권고를 기반으로 현장에서 그것들을 이행할 필요가 있습니다. Marine and coastal biological diversity is greatly endangered, despite being a long enduring priority program in the CBD. Issues such as the impacts on marine and coastal biodiversity of anthropogenic underwater noise and ocean acidification, and the destruction of coral reefs must be addressed urgently. In the discussion on Ecologically or Biologically Significant Marine Areas(EBSAs), forthcoming decisions must be consistent with earlier CBD commitments. 생물다양성협약에서 오랫동안 지속된 우선순위 프로그램이었음에도 불구하고, 해양 및 연안 생물다양성은 심각하게 위협받고 있습니다. 인간이 만드는 수중소음과 해양산성화가 해양 및 연안 생물다양성에 미치는 영향, 그리고 산호초의 파괴와 같은 이슈는 긴급히 대응해야만 합니다. 생태적 또는 생물학적으로 중요한 핵심 해역(EBSAs)에 관한 논의에서, 향후의 결정은 CBD의 이전 의무와 일치해야만 합니다. Lastly, biodiversity is at the heart of sustainable development. However, we should also place sustainable development at the heart of biodiversity policy. We strongly support the Chennai Guidance for Implementation of the Integration of Biodiversity and Poverty Eradication in this respect, as well as the Plan of Action on customary sustainable use of biological diversity and the other outcomes of the Ad Hoc Working Group on Article 8(j). We call upon the Parties to the CBD to give an explicit mandate to the Secretary general to ensure these important COP12 outcomes are used as a basis for the further work on the post-2015 development agenda, including in particular the framework of indicators that is still to be developed to assess implementation of the proposed Sustainable Development Goals and targets. 마지막으로, 생물다양성은 지속가능한 발전의 핵심입니다. 그러나 우리는 지속가능한 발전을 생물다양성 정책의 핵심에 두어야 합니다. 이러한 측면에서 우리는 생물다양성의 관습적 지속가능한 이용 및 8조j항에 관한 특별 작업반의 다른 결과에 관한 행동 계획뿐 아니라, 생물다양성과 빈곤 퇴치의 통합 이행을 위한 첸나이 가이드를 강력히 지지합니다. 우리는 생물다양성협약 당사국들이 특히, 제안된 지속가능한 발전 목표의 이행 평가를 위해 만들어지고 있는 지표의 기본골격을 포함한 포스트-2015 발전 의제에 관한 향후의 작업을 위한 기초로 쓰여질 제12차 당사국총회의 이러한 중요한 결과들을 보장할 수 있도록 사무총장에게 명확한 지령을 내려줄 것을 요청합니다. We would like to raise one last question: after all the beautiful words and promises we hear those days here at the convention center: what will be the next concrete steps you will take to really protect biodiversity, once back in your countries? We call on you to ensure the central involvement of civil society and indigenous peoples and local communities and women, because we have so much to contribute to this task. 우리는 마지막으로 질문을 하나 드리고 싶습니다. 여기 이 회의장에서의 우리가 들은 화려한 말과 약속 뒤에, 여러분의 나라로 돌아가신 후에, 정말로 생물다양성을 보전하기 위한 다음단계가 무엇이 될 것입니까? 우리는 여러분께 이 과업에 기여하는 바가 매우 큰, 시민사회와 토착민과 지역공동체 그리고 여성의 핵심적인 참여를 보장해주시기를 요청합니다.